Nice 1 Unit, 1 Bedroom Rental Property with many updates and only 2 blocks from downtown Leslie. Updates include new roof, freshly painted interior and exterior, full bathroom, and kitchen. 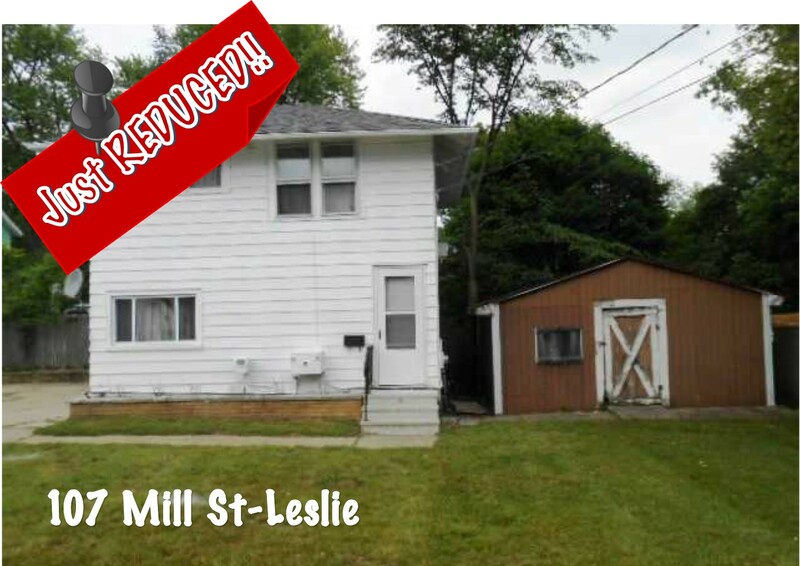 This property can be purchased separate or as a package with 313 S. Main Street Leslie, MI 49251 a large 2-unit duplex conveniently located right next door to 107 Mill Street. For additional information on this property please contact The Selling Team’s Brock Fletcher at (517)853-2585 or click here!